Tomorrow marks a milestone day for UW-Sprout. We’ll be harvesting, washing, and packing veggies for our first ever CSA shares. And — get this! — these shares will be delivered by our garden staff and volunteers BY BIKE! All of this has been a long time in the making, but with a lot of careful planning and preparation, here we are. For all of us at UW-Sprout, it feels AMAZING! 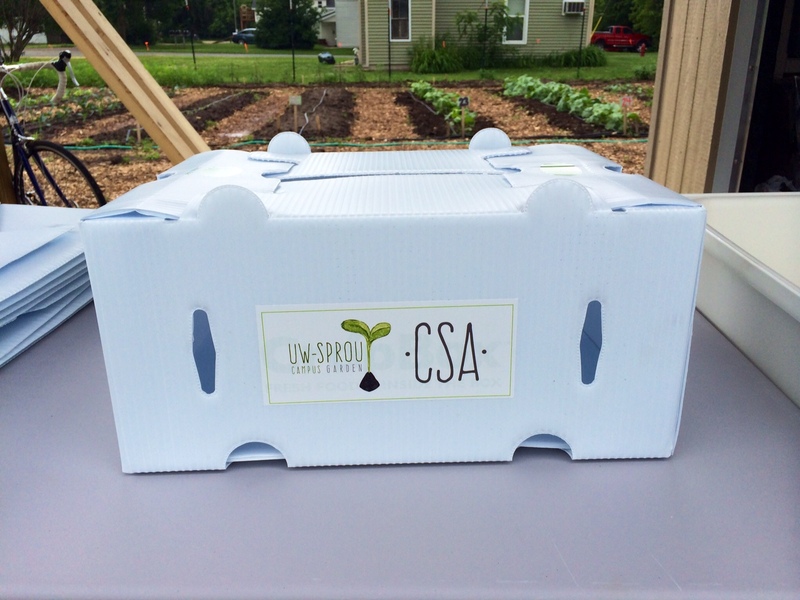 In the winter, we selected our first CSA boxes — a reusable box called a “CropBox” — and we’ve been anxiously awaiting the day that we could pull them out and fill them with fresh veggies from our garden. Our CSA shareholders have hopped on board for this wild, first-year ride and we are so grateful for their support. We deeply care about their experience and we’ve been working really hard to provide them with not only delicious and healthy produce, but also a link to the land and the community. They are helping us build community with food as our vehicle and we really feel that life doesn’t get much better than that. 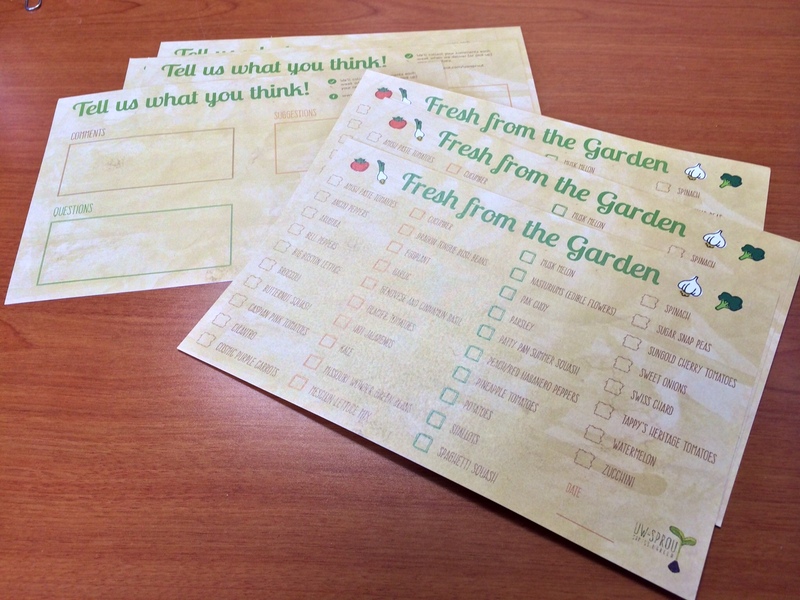 We’ve created comment cards/veggie lists that will go out to our shareholders with each weekly delivery. The veggie list seeks to educate them on the (sometimes uncommon) food they’ll be dining on. And the comment card is our way of asking for feedback. We want to improve with each new day and consistent feedback from our customers is essential in making this happen. In 24 hours, we’ll be hopping on our bikes with vegetables in tow. And it will be glorious!